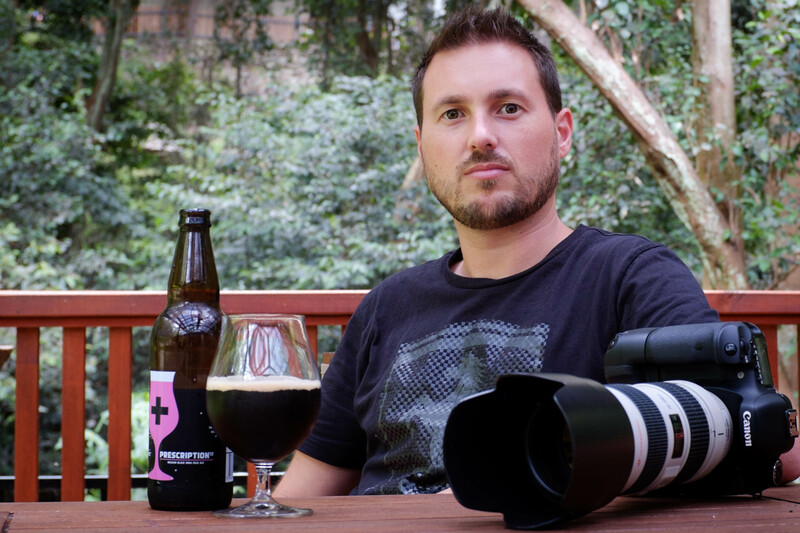 I’m lucky enough to have two hobbies in my life (much to my wife’s frustration) photography and craft beer, and so when an opportunity arose for me to combine the two it just seemed logical. I’ve watched the recent explosion of growth in the craft beer industry here in Australia and wanted a way to capture the essence of what “craft” beer is – it’s not just about the end product but the people behind it and the process to create it. I have a day job in IT that pays the mortgage, and between that and my young family (two boys under five) squeezing time in for anything else, including my hobbies, can be challenging. I all-grain brew and often take the valuable advice of the brewers I’m photographing to get some tips to help improve my own technique. I also shoot commercially, mainly fashion, but increasingly beer related work through my photography site Blue Doors Studio. The best thing about having your own site is you have no one else providing creative direction, or dictating content. I shoot what I want, how I want. For me having a personal unpaid project like this is great for letting me experiment and challenge myself. In fact for the current series of photos I’ve limited myself to shooting with a small mirrorless camera and two focal lengths, 35mm & 50mm. Pick your niche and stick to it – leave the broader coverage to aggregators or larger sites. Whenever anything is given a label there will be points of view, and popular labels are always abused by others seeking to take advantage of what the market perceives the label to be. Personally I like craft beer as a phrase – it sure beats boutique! The depth of flavours from each new beer, and the conversations that can come from it; Be that from mutual appreciation or the polarising beers like Yeastie Boys Rex Attitude. Just one? Whenever you develop a passion for something you always find things you don’t like about it. Be that taxation, some elements of mainstream media taking pot shots at the industry or being asked your untappd unique count. I think the more important question is what you do about these things. If you are truly a supporter of something then you should also try to change and evolve the things you hate about it.